How to transfer iPhone music and videos to Windows 10? Home » How to transfer iPhone music and videos to Windows 10? This article briefly explains how to transfer your iPhone music and videos to your PC (running Windows OS) with CopyTrans. Do smart backup of your iPhone /iPod /iPad music using CopyTrans. 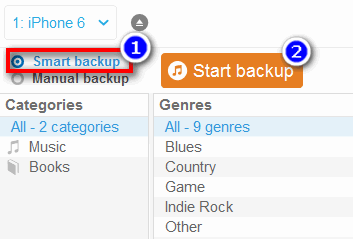 Do manual backup of your iPhone /iPod /iPad music to your PC using CopyTrans. Choose manual backup, if you would like to transfer iPhone music, videos and playlists to a selected folder on your PC. 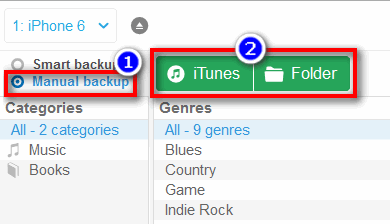 Manual backup also allows you to transfer tracks and playlists of your choice from your iPhone to the iTunes on your PC. How to transfer music from iPhone to a USB flash drive?